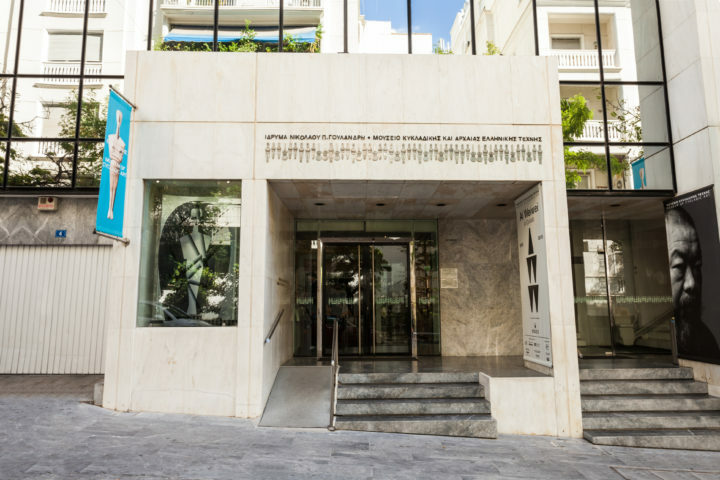 The Museum of Cycladic Art in Athens is a modern museum that opened in 1986. Cycladic art can be found elsewhere in Athens (at the National Archaeological Museum) but the Museum of Cycladic Art holds a much larger display. Cycladic art is from the Cycladic islands, which surround the isle of Delos off the coast southeast of Athens. A mysterious people who left no written record populated it. The Goulandris family, arguably Greece’s greatest shipping dynasty, founded the museum. They are known for their legacy of arts. 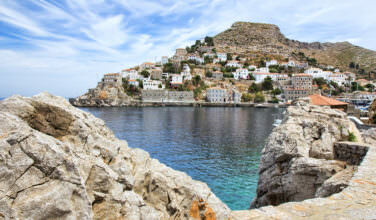 In addition to the Museum of Cycladic Art, the family founded the Museum of Contemporary Art on the island of Andros. The Museum of Cycladic Art has expanded with donations from other wealthy Greeks. The Museum of Cycladic Art features the remnants of a culture that flourished in the Cyclades from 3200-2000 BC. Most prominent are the semi-abstract Cycladic figurines. Most are female forms, which possibly convey cult objects of a goddess religion. The beautiful marble carvings are unlike anything found in contemporary civilizations. The simplicity of these marble statues inspired many 20th century artists and sculptors including Picasso, Modigliani, and Henry Moore. The main entrance to the museum can be found on the ground floor, with four floors above it. The Cycladic collection is primarily on the first floor, where the fertility figurines can be found. They come in different sizes but follow the same general pattern. They are skinny, standing straight, and feature large heads. 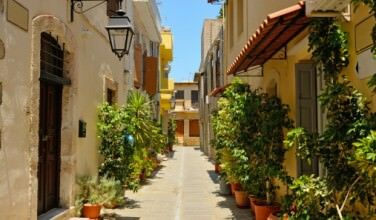 They give insight into the matriarchal cultures of the Cycladic Islands. An excellent selection of ancient Greek art can be found on the second floor. The third floor is used for temporary exhibitions. The fourth floor houses the Charles Politis collection. The new wing of The Museum of Cycladic Art is housed in the Stathatos Mansion, an elegant Neo-Classical building that was once the home of Otho and Athina Stathatos. It was designed and built by the architect Ernst Ziller in 1885. The new wing opened in 1992 and features the Greek art collection of the Athens Academy. Temporary exhibitions, receptions, and lectures are held here. The Museum of Cycladic Art is invested in children and education. Educational programs have long been an integral part of the museum. The programs are designed to address a varied audience, cover a wide range of subjects and are structured in an informative and imaginative way that turns learning into an exciting and creative process. Attendance is greater than 10,000 participants per year.